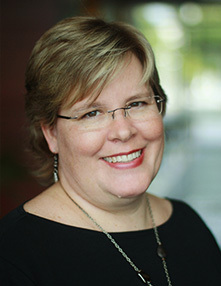 Dina Carmignani-Bunn joined LifeConEx as director of the Life Science Service Center and IT in September 2007. Under her leadership, LifeConEx introduced and upgraded its proprietary IT platform, LifeTrack, and restructured its visibility and monitoring teams to handle steady double-digit growth while better serving customer needs for timely and accurate information. Since 2010, Dina has also been responsible for the design and implementation team, and in 2014 a pricing and analytics team was established under her remit. Currently, Dina is leading the global project to implement DHL THERMONET, DHL Global Forwarding’s standard air freight service for the transportation of temperature-sensitive products. Dina’s background prior to joining LifeConEx spanned several functions in her more than 20 years at Lufthansa German Airlines. At Lufthansa, she worked in finance and accounting, controlling, quality management and IT service delivery at various locations throughout the U.S., South America and Lufthansa Cargo’s headquarters in Frankfurt, Germany. Fluent in German, Dina is a resolute environmentalist and animal lover who has been a vegetarian for most of her life. She currently resides in South Florida with her three children, two dogs and one cat.